to ten prisons in the South West of England. 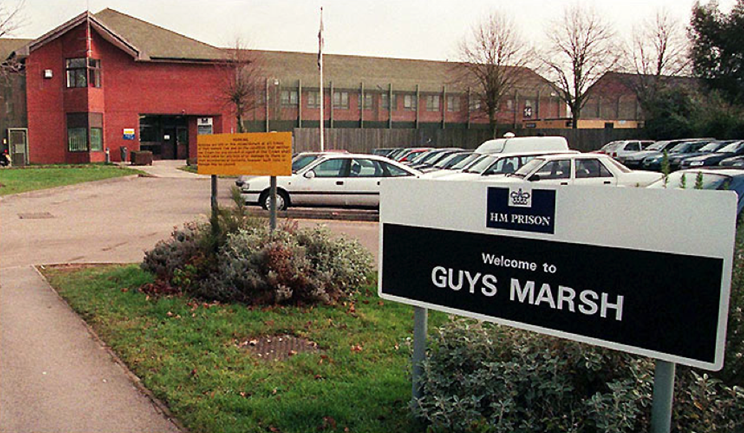 HMP Guys Marsh is a category C training prison for adult males near Shaftesbury, Dorset. The staff team at Guys Marsh prides itself on working hard to meet the needs of individuals, offering an array of enrichment activities such as creative writing and cultural awareness events to underpin our broad curriculum. We have a large vocational provision offering City and Guilds Diplomas and a keen focus on improving the levels of English and maths for all our learners. The focus at Guys Marsh is on creating a rehabilatitive culture based on the core values of kindness, team spirit, fairness, integrity, recognititon and belief in change. 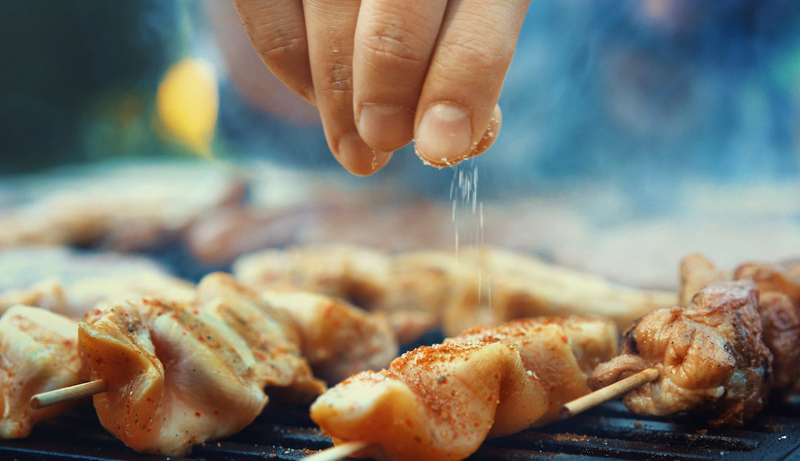 The recent introduction of a resettlement academy has added value to the curriculum in providing men with opportunities to brush up on essential life skills prior to release. Weston College also manages the library service at Guys Marsh which has enabled us to support a number of Open University and Distance learners, as well as host literary competitions, art exhibitions and guest speakers in a positive and vibrant environment. "I felt very withdrawn when I first entered Prison..."
We recently received an email from LF who was released from Guys Marsh. During his time here, he successfully completed the Interview Skills course as well as Be Your Own Boss, L1 English Functional Skills and L1 Certificate in Construction Skills. He wrote to tell us that the skills he had gained in prison had helped him successfully gain full-time employment as a carpet fitter and is looking forward to progressing in this role. DR came to Guys Marsh with a serious drug habit feeling depressed and suicidal. After a surprise visit from an inspirational Barbering tutor who convinced him to attend the course, he found he had a new sense of purpose and began to turn his life around. He has now been free of drugs for 9 months, is working as an orderly in the education department and is well-known across the estate for his positive attitude and the fantastic works of art he creates. He is also involved in a project with some external graffiti artists who are transforming the aesthetics of the prison estate to create a more uplifting, bright environment. RJ found himself in prison for the first time last September, feeling withdrawn and depressed. He quickly realised that education was the path to rehabilitation and began applying to courses. He successfully completed his City and Guilds Certificate in Horticulture L1 and L2, where he realised that he enjoyed the mentoring aspect of being in the classroom. He subsequently successfully completed the L2 peer mentoring course and went on to become an education orderly. Not content with this, he also delivers ICT sessions to new cohorts of peer mentors, has completed the L3 mentoring unit, is studying via distance learning and has taken up the challenge of becoming a Shannon's Trust mentor, helping men learn how to read. On Friday 15th July, Guys Marsh held a special event to celebrate their success in winning the 3/5 Maths Challenge for 2017/18. The shield was presented by representatives from the Education and Training Foundation (ETF) to the Weston College management team in a special event held in the library and was attended by many of the successful participants. The ETF’s 3 out of 5 project aims to engage and enthuse people mathematically by providing prisons with a pack of 21 maths challenges to be completed in classrooms, libraries, vocational areas and industrial workshops. Learners that successfully complete 3 challenges are presented with a certificate and free calculator. These created a highly valued incentive, especially by those that were able to use the calculators to help their children with their homework during family visits. The team at HMP Guys Marsh won this year’s competition with an amazing 133 completions from participants in just 6 months. In another creative venture at HMP Guys Marsh, an exhibition of the work of the “Artist In Residence” helped to raise over £400 for the Royal British Legion. 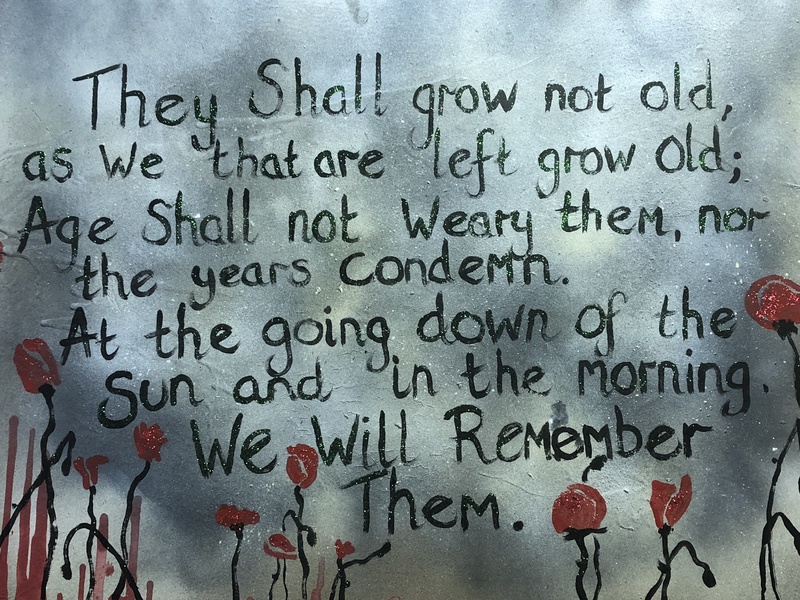 Using the “Say Thank You” theme of Weston College’s regional arts competition, Danny created a wonderful range of work commemorating the 100 year anniversary of the end of World War One. 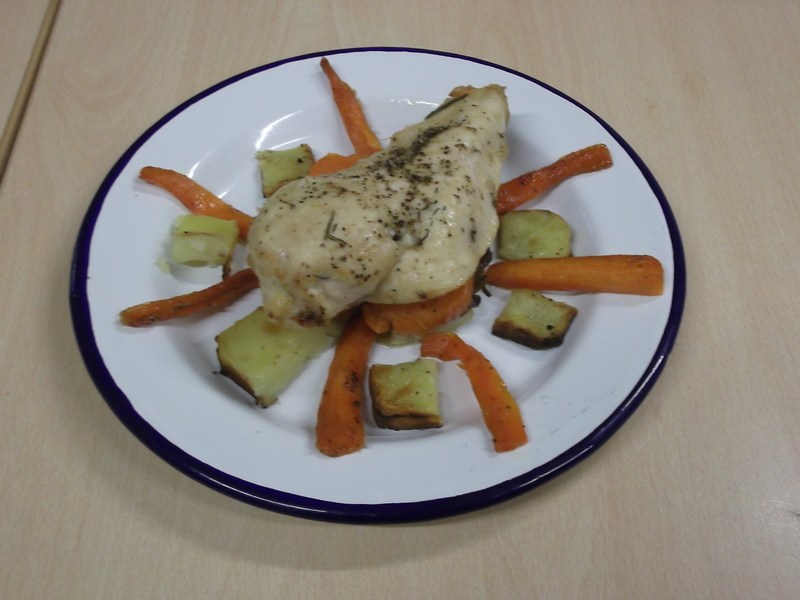 The exhibition, which was open to the public and attended by over 60 people, took place in the Jailhouse Café on 9th November and was accompanied by the Weston College catering team who created a feast for the attendees based on recipes from a cookbook of the time. Danny kindly auctioned off two of his paintings and, along with the raffle, was able to make a donation of £462 to the Royal British Legion. 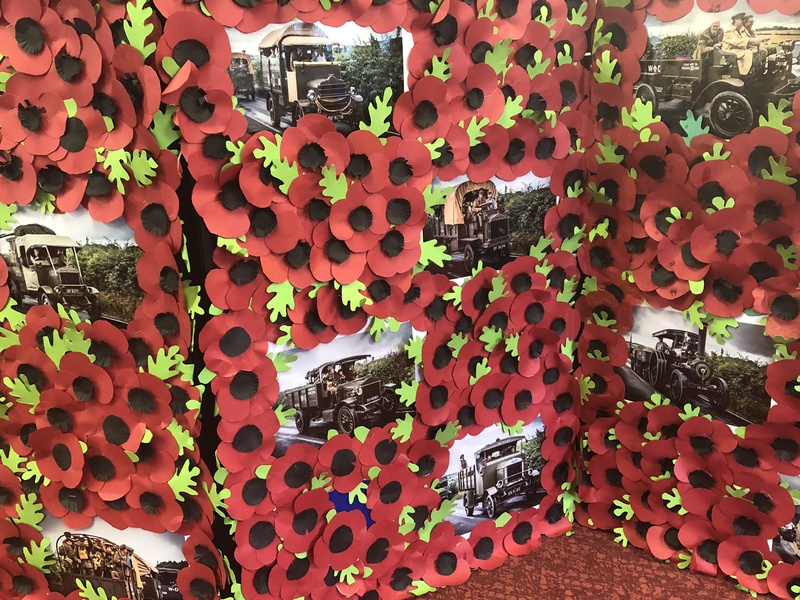 The paintings were interspersed with a wonderful array of poppies – all 4,600 of which were handmade by the learners to represent the number of lives lost in Dorset during World War One. There were also black poppies to represent men of colour that lost their lives and purple poppies for the animals involved in combat. HMP Guys Marsh team were delighted to be shortlisted for the final of this year’s BBC Points West Cookery Team of the Year. Nominated for their fantastic daily contributions as well as the variety of projects they are involved in, the team were visited by the BBC cameras in early June to film a slot for BBC Points West news and tutors attended the final ceremony in Bristol. The annual awards are for brilliant teams who have gone above and beyond in providing a particularly great service to their community. The HMP Guys Marsh team were nominated for working within a particularly challenging prison community providing a great daily service as well as for their innovative engagement in wider prison community projects. The team are made up of Weston College catering tutor Luke Trott and a group of prison learners who are working towards their NVQ L2 Diploma in Catering and Hospitality. 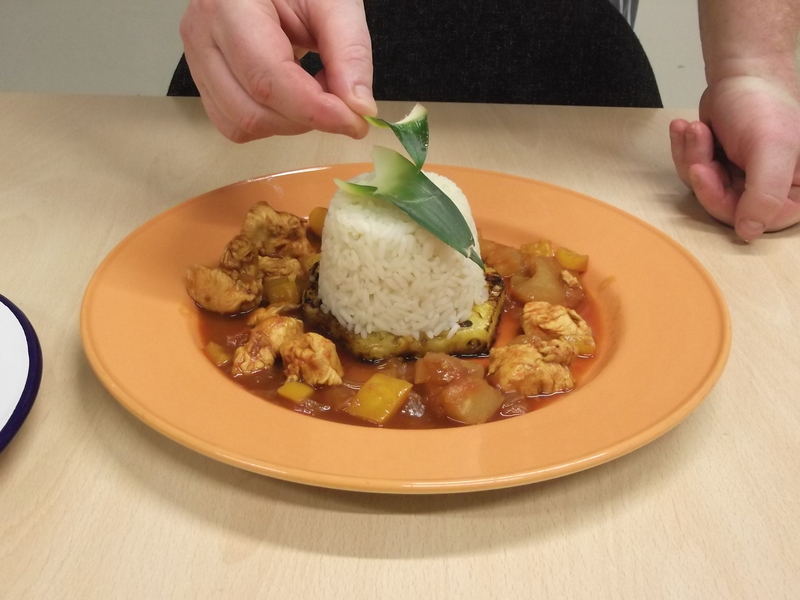 Learners achieve this nationally recognised qualification whilst working in the prison kitchen and still find the time to provide bespoke lunches for prison wide events.